“Culture Queen” Jessica Camara-Ife Hebron visited my school in early 2016, bringing joy and cultural understanding. Memo to musicians under 40, of all musical styles and persuasions: Could you share your music with kids? Please? I’m reaching out especially to those of you who don’t look or sound like me, a white female of a certain age, who strums my acoustic guitar and sings folk-y type tunes. There are a whole bunch of us white females doing this stuff, and children need to see more people of every color, gender, age and ethnic background making music that’s fun and age appropriate. I’ll repeat: the children of America (and the world) need you! 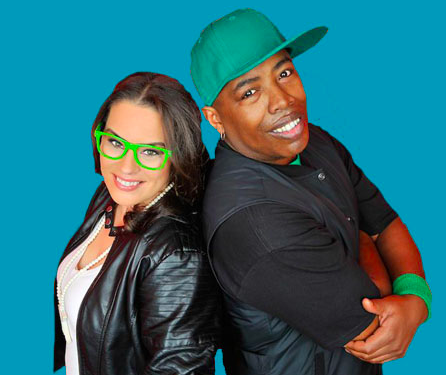 Kaitlin and Tommy are the Alphabet Rockers, delivering upbeat music that educates and promotes social justice. I know what you’re thinking. You already have a job, or your career is not heading in that direction, or you can make more money doing – just about anything else. Okay, fine, you don’t have to become a full-fledged “children’s musician,” although you could be! If you work with kids in any way – teacher, librarian, nurse, therapist, parent – you can find ways to incorporate singing and music. If you don’t regularly work with kids, you still might find a way to bring your music to kids, perhaps by volunteering at a local day-care center or homeless shelter for families. I can just about guarantee that if you deliver some fun songs with a smile and lots of spirit, the kids will be happy, and this will make you happy, too. Maybe you are shaking your head, saying that “children’s music” isn’t your style. Perhaps you sort of look down your nose at “children’s music,” because it’s not “deep” or complex enough. Maybe you think children’s music is comprised mainly of silly ditties you heard long ago on children’s TV shows, such as the one about a purple dinosaur who shall not be named. You think children’s music is too silly, folk-y or just downright nauseating. It’s true, there is plenty of bad music for children out there. All the more reason why YOU, a purveyor of great music, should consider sharing it with children. Your musical genre – whether it’s hip hop, jazz, country or classic rock – can be a great genre for kids! I say this as someone who comes straight out of the “folk world,” though I’ve dabbled in rock and jazz in my children’s recordings. I even recorded a song I called a rap, but if you know anything about rap, you might snort with laughter at my attempt at this medium (It’s still a catchy song, and you can watch a video here!). But you can look a lot different from me and be a children’s musician. I know, because I’ve met some through The Children’s Music Network. One of CMN’s early leaders was Pete Seeger, so the organization’s roots are decidedly folk. But performances at the latest CMN conference, this past October, featured some hip-hop, Latin, jazz and other styles along with the traditional folk stuff. So I’d like to you meet a few of my favorite children’s musicians. Let’s start with Devin Walker, or Uncle Devin. 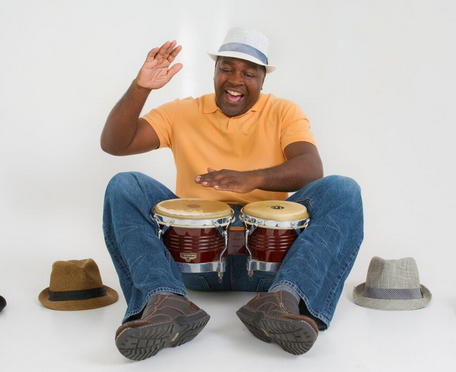 Devin calls himself a “drumcussionist.” He has a full-time job in another field, but Devin has found time to become a regular performer with Young Audiences of Maryland. He’s recorded a CD of kids’ songs and written a children’s book called The ABCs of Percussion. 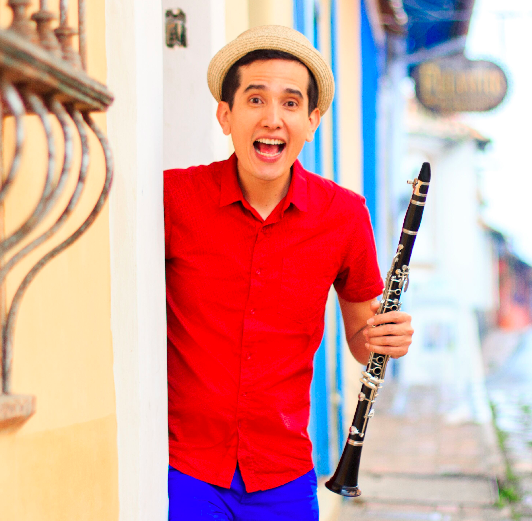 1-2-3 Andrés delivers music to kids on clarinet, guitar, percussion, vocals in Spanish/English and with cool dance moves. Devin introduced me to another fun musician, 123 Andrés. Andrés Salguero, who sings in Spanish and English with a cool Latin groove, is one of the happiest performers you’ll ever meet. He is now a touring children’s musician, a Latin-Grammy winner with two albums and lots of fun videos. Watch this one! Watch more. You can’t help loving Andrés. While we’re in a Latin mode, I must mention Mister G (and his wife and co-star, the lovely Missus G). Also a Latin Grammy winner, Mister G is a white former teacher with music that’s infused with his love of Mexico and the Spanish language. Check out his upbeat groove with his song Chocolalala. Alphabet Rockers are another super cool musical act that’s recently caught my fancy. This California-based band, just nominated for a Grammy, does hip hop for kids with a message of social change and racial justice. Watching them lead dance moves with little kids is totally cute. You can also check out more about of their awesome message on their latest album, Rise Shine #Woke. 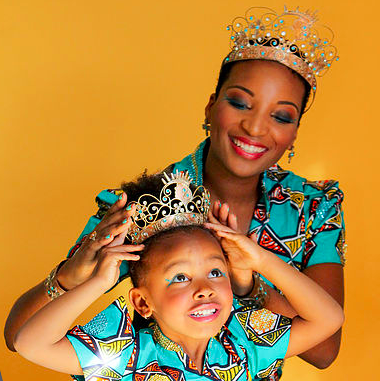 The Culture Queen crowns a royal child. Especially check out the video of their song “Stand Up for You,” which delivers a strong message of empowerment. Patricia Shih, a Chinese American, has a more traditional folk sound to her music, though her songs, such as “The Color Song,” often venture into themes of skin color and identity. Lest you think here are no white females in this new world of children’s music, two of my favorites are Joanie Leeds and Frances England, both award winning and hugely successful. This video by Frances England is one of the nicest, most peaceful music videos I’ve ever seen, for kids or adults. 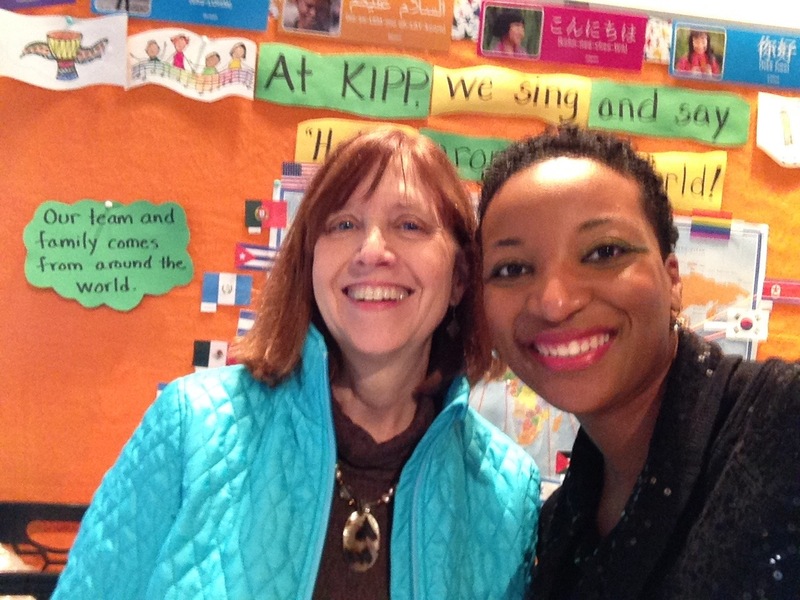 Although for sheer magic in children’s music and video, you certainly must check out Elizabeth Mitchell. This video of “Turn, Turn, Turn,” featuring Elizabeth with Dan Zanes (adult rocker from the 80s turned kids’ musician) is just lovely. Okay, I’ve come all the way back around to Mr. Folk himself, Pete Seeger, who wrote “Turn, Turn, Turn;” his wife Toshi added the lyrics for children. Still, I hope I’ve convinced you that any kind of music can be children’s music. You might even find that it’s also parents’ music. Grandparents’ music. You might forget all about that dorky dinosaur. Grab your instrument and your dancing feet and get out there and sing with kids! 5 Responses to The Children’s Music World Needs You! Great job, Liz! Very upbeat with lots of great recommendations. Great blog, Liz! I’m going to send it to my nephew who is a rocker with a huge heart. He has always been great with children, but I don’t think he’s ever thought of doing his music with kids. It would be such a plus in his life! Thanks for all you do to encourage so many. Thanks, Dorothy! I hope lots of people will circulate this to musicians who’ve got the potential to share something special with kids. It doesn’t necessarily mean setting the adult music aside. In fact, working in schools on weekdays can be a great income supplement for someone who wants a life as a full-time musician.